An article about health care in the 2012 November Wired offers a strong reminder of how important smart government policy plays in making markets function well. In the early 1950s, it was nearly impossible to know the value of an automobile. They had prices, yes, but these would differ radically from dealer to dealer, the customer a pawn in the hands of the seller. This all changed in 1958, when US senator Mike Monroney of Oklahoma shepherded a bill through Congress requiring that official pricing information be glued to the window of every new automobile sold in the US. The “Monroney sticker,” as it came to be known, has been with us ever since. It became an effective means of disclosing the manufacturer’s suggested retail price, or MSRP, and a billboard for other data disclosures to the consumer: the car’s fuel economy, its environmental rating, and so on. The sticker price was one of the triumphs of consumer-rights legislation and has made buying a car an easier—though never altogether easy—experience. What’s more, window stickers made automobile pricing rational and understandable. A customer who knows the base price going in will expect more value coming out. In economic terms, the sticker turned a failed market flummoxed by information asymmetry into something resembling a functioning, price-driven marketplace. There are many smart government policies that could radically improve the telecommunications industry, collectively saving billions of dollars for Americans and businesses. Unfortunately, most of these policies have been ignored by Congress and the FCC, which have focused instead on the solutions put forth by the big cable and DSL companies to further their own narrow interests. Imagine going to a gas station, putting 10 gallons into your car's 12 gallon tank, and driving off only to find your needle only approaches half a tank? This scenario is quite rare because government inspects gas stations to ensure they are not lying about how much gasoline they dispense. But when it comes to the Internet, we have found measurements of how much data one uses is unregulated, providing no check on massive companies like AT&T and Time Warner Cable. And we are seeing the results -- AT&T is not open about what its limits are or how to tell when one has exceeded them. Stop The Cap has noted that AT&T has advertised unlimited bandwidth for its DSL/ U-verse product while chiding and charging customers who exceeded certain amounts of monthly usage. Customers were quietly warned and charged $10 for each additional 50 GB over 150 GB for DSL subscribers or 250 GB for U-verse customers. Clearly, "unlimited" has several definitions, depending on whether one is a customer or an ISP. One hundred years after Teddy Roosevelt and AT&T agreed to the Kingsbury Commitment, Harold Feld joins us on Community Broadband Bits podcast to explain what the Kingsbury Commitment was and why it matters. In short, AT&T wants to change the way telecommunications networks are regulated and Harold is one of our best allies on this subject. AT&T is leaning on the FCC and passing laws in state after state that deregulate telecommunications. Whether we want to deal with it or not, these policies are being discussed and consumer protections thus far have taken a beating. This interview is the first of many that will help us to make sense of how things are changing and what we can do about it. We also discuss the ways in which the Federal Communications Commission and Federal Trade Commission spurred investment in next-generation networks by blocking the AT&T-T-Mobile Merger on anti-trust grounds. Harold is senior Vice President of Public Knowledge and writes the Tales of the Sausage Factory blog. This show is 22 minutes long and can be played below on this page or subscribe via iTunes or via the tool of your choice using this feed. Search for us in iTunes and leave a positive comment! We have long argued that smart antitrust policy promotes investment and competition in the market. Allowing a few firms to consolidate too much power allows them to ignore our needs because we lack alternative service providers. In economic terms, they can use their market power to prevent market entry from innovative new firms. Harold Feld recented provided more empirical evidence for our view by comparing the present cellular wireless market against that of 20 months ago. He notes new investment from abroad in T-Mobile and Sprint and that U.S. Cellular plans to expand its footprint; AT&T is planning upgrades in its spectrum holdings. Bottom line - investment is starting to happen, which was not the case a year ago. On top of this, the FCC sudden[ly] started getting all serious about regulatory reforms designed to keep carriers other than AT&T and Verizon in the game as serious players. This included not just the long-awaited data roaming order (which now looks like it will probably survive review by the D.C. Circuit after all), but also revisiting special access, 700 MHz Interoperability, and renewed interest in clarifying the spectrum screen/possibly reviving the spectrum cap. While the last three are still in progress, the fact that the FCC is even talking about them in a serious way is so radically different from what folks expected at the beginning of 2011 that it puts heart into investors and competitors who were looking for some sign that anyone in DC gave a crap or if competitive wireless would end up going the way of competitive telecom and competitive ISPs. Once again, consumers must fight to preserve their landline telephone service. 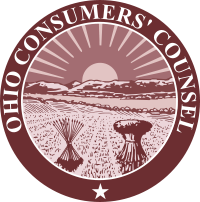 This time, the Ohio General Assembly is pondering legislation that can end traditional service for up to 1 million Ohio residents. Our readers know about the efforts of ALEC and AT&T to drastically reduce their obligation to provide landlines across the country. Up to now, telephone companies were required to serve everyone, but those requirements are under attack, state by state. Bills have emerged in Mississippi, Kentucky, New Jersey and California. AARP Ohio State Director Bill Sundermeyer says, besides preserving social contact, land-line phones are needed to protect seniors' health and safety. For instance, some seniors use the phone line to transmit routine health information from equipment in their home to their doctor's office, he says. "They can make an evaluation of a person's heart and how's it working, of their lungs, etc. That information would be very difficult to transmit over a cell phone." First, as we said in our National Broadband Plan, we need “innovation hubs” with ultra-fast broadband, with speed measured in gigabits, not megabits. There have been some positive recent developments on this front. Promoting competition also means we need to keep a close eye on developments in places like Chattanooga and Kansas City to see what additional steps we can take to encourage game- changing investments by disruptive broadband competitors. This is not the first time Chairman Genachowski has referred to municipal networks as a valuable asset. In his August comments on the Google Fiber roll-out, he referred to the importance of municipal infrastructure investments as a way to push the boundaries and compete globally. Once again, we are witnessing the federal government allowing a few massive telecommunications companies to collude rather than compete. Verizon is about to ally itself with major cable companies, to the detriment of smaller competitors in both wireless and wireline. One of the reasons we so strongly support the right of communities to decide locally whether a community network is a smart investment is because the federal government does a terrible job of ensuring communities have fast, affordable, and reliable access to the Internet. By building their own networks, communities can avoid any dependence on the big cable or telephone companies that are more interested in consolidating and boosting shareholder dividends than they are in building the real infrastructure we need. The Department of Justice released a statement on August 16th, that it will allow the controversial Verizon/SpectrumCo deal to move forward with changes. We have watched this deal, bringing you you detailed review and analysis by experts along with opinions from those affected. One week later, the slightly altered deal was also blessed by the FCC. Many telecommunications policy and economic experts opposed the deal on the basis that it will further erode the already feeble competition in the market. In addition to a swap of spectrum between Verizon and T-Mobile, the agreement consists of side marketing arrangements wherein Verizon agrees not to impinge in the market now filled with SpectrumCo (Comcast, Time Warner Cable, Cox, and Bright House Communications). The California Legislature recently passed SB 1161 (dubbed "California's Worst Telecom Bill Ever") and the bill is on the Governor's desk. Utility reform group, TURN, and the New America Foundation are two groups that have opposed this ALEC supported bill from the start. We reported on it in June and shared with you how it will negatively impact the ability for local communities to invest in broadband. In a letter yesterday (August 28, 2012), the Humboldt County Board of Supervisors requested Governor Brown to veto SB 1161, noting: "SB 1161 weakens open Internet protections and subverts long held State policy 'To continue our universal service commitment...' Why abandon our commitment to least served people and places?" The Board officially expressed their opposition to the bill in May, noting that holes in the legislation ignored public safety, privacy, and consumer protection issues. No amendments were adopted to address those concerns. You can view a PDF of the veto request here. We encourage you to take an active part in helping stop this legislation by contacting Governor Jerry Brown directly. You can also read Susan Crawford's take on it and similar efforts in other states.